With more and more supermodels looking for new ways to express their creative minds and passion for certain aspects of life, it shouldn’t be surprising that most of them already have a successful career besides catwalking. While the most recurring option is becoming a fashion designer, starting off collaborating with the biggest fast-fashion brands, other supermodels try their hand at acting, singing or beauty. Ex-Victoria’s Secret Angel Miranda Kerr thus co-founded a 100% organic skincare line, Kora Organics, back in 2009. 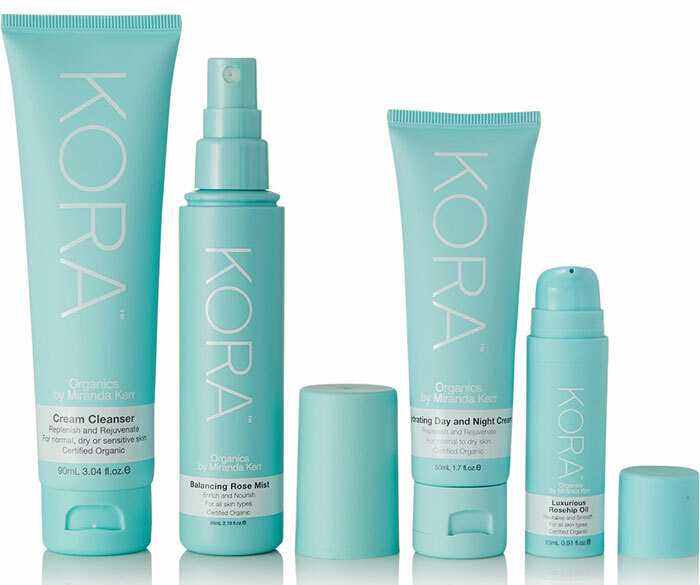 The products are sold internationally via Kora Organics website and on Net-a-Porter, and are one of the best options available if you are a big fan of organic beauty products that are also effective. Among the vast array of Kora Organics by Miranda Kerr products, we have singled out 5 items you should definitely get to start taking care of your skin in a more natural way or just to make a pleasant gift to your best friend. If you are not acquainted with Kora Organics beauty products, you should know that Miranda Kerr not only spent 18 months studying nutrition and health psychology at University before co-founding the line, but also relies on a team of organic chemist. Once you try these products, you are sure to become a big fan of the brand! So here is what you should give a try! If you want to rejuvenate and balance your skin, this set might be exactly what you have been looking for. All these products will help make the skin look moisturized and smooth, and are particularly recommended for all types of sensitive skin prone to get dehydrated and itchy. Get this set on Net-a-Porter now! With the 98.32% of its ingredients having natural origin, the Kora Organics exfoliating cream makes it possible to gently purify the skin without causing any damage to it. Although buffing away dead cells is good for our skin, doing it too often and with chemical products may cause more damage to your skin than you could ever imagine. The best thing about this exfoliating cream is that it’s meant both for the face and body. It will make your skin feel nourished and revitalized, so why not shop it now on Net-a-Porter? If you are one of those lucky people going on vacation to a warm country during wintertime, this body lotion might soon become one of your skin routine essentials. It will nourish and hydrate your skin after a long sun exposure. You can buy it here. 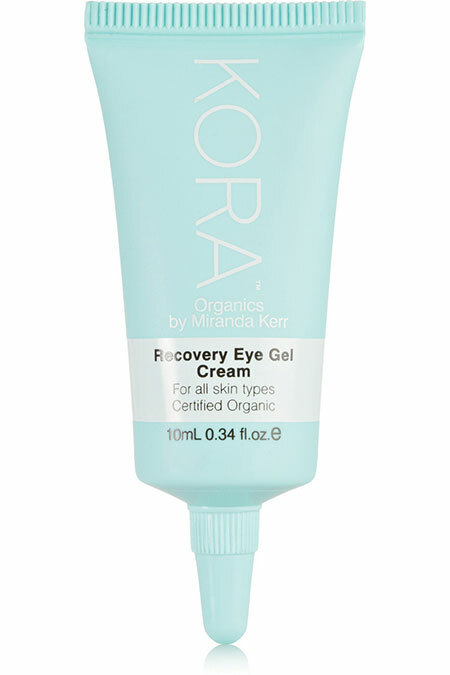 Suitable for all skin types, the Kora Organics Recovery Eye Gel Cream is enriched with collagen-boosting organic seaweeds and is one of the best options if you want to revitalize your tired, puffy eyes. Its unique formula will gently hydrate the delicate eye area, making it look relaxed and fresh. It’s a good way to rejuvenate and refresh your look if you have a lot of work to do and not enough time to sleep. Get it here! Lips are too often the most neglected part of our face when it comes to skin care. Whether it’s winter or summer time, it’s extremely important to protect your lips either from the severe cold or the harming sunrays. 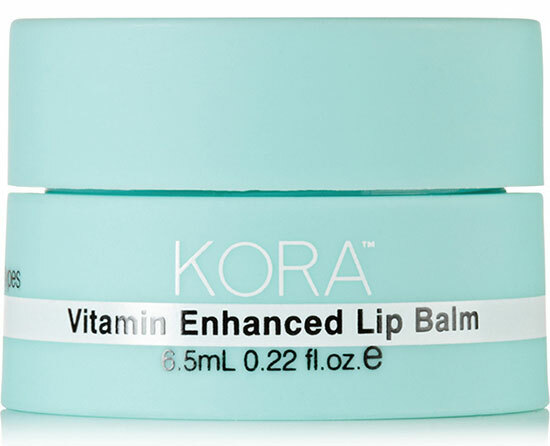 Blended with Vitamins C and E, this lip balm will soften and hydrate your lips soon becoming your favorite lip care product. Get it now on Net-a-Porter!